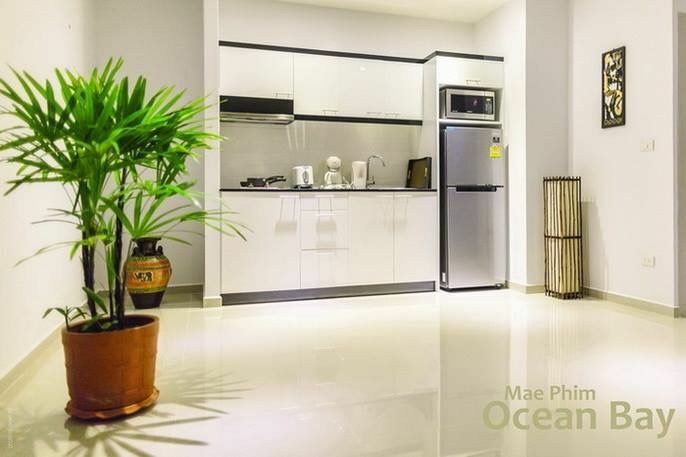 Situated in one of the finest locations along the eastern seaboard and only 20 meters from the ocean, Mae Phim Ocean Bay offers you the ultimate waterfront living. 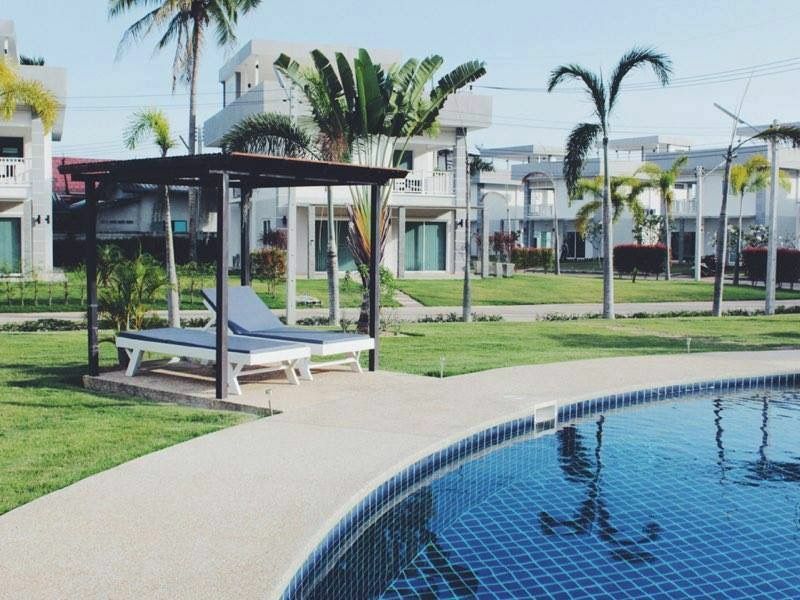 Developped across an area of 8 rai, Mae Phim Ocean Bay consists of 2 condominium buildings and 17 villas, all designed to be both functional and elegant. 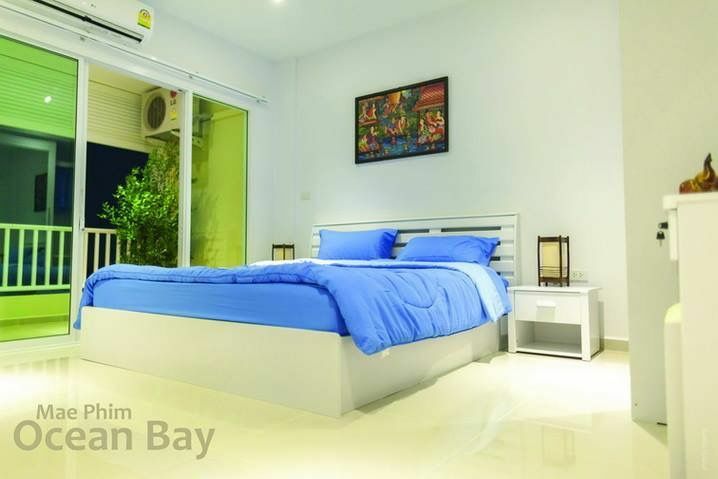 From either your terrace, roof garden or swimming pool, you will be able to enjoy the cool ocean breeze and off shore views of Koh Man Nai (Turtle Island). We offer several different unit thpes, ranging from 37-99 sqm. All condominiums include a fully equipped western style kitchen with granite top, fully tilled bathrooms and with A/C units in every rooms. 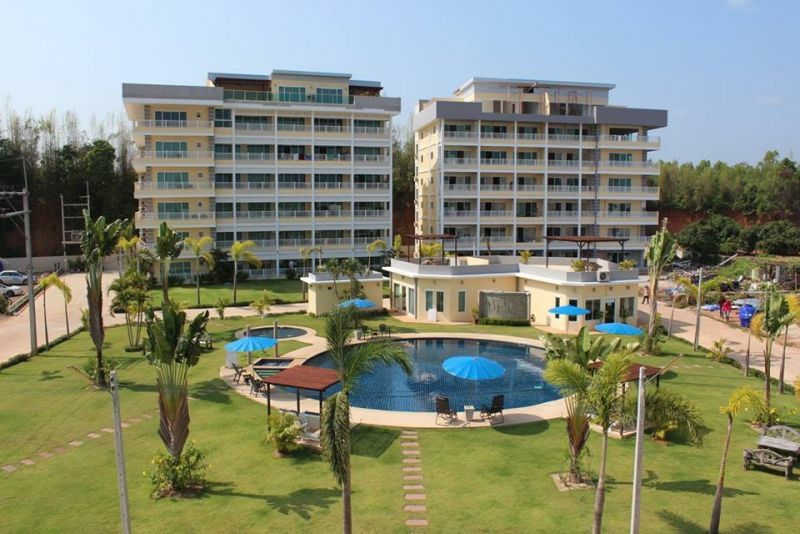 All units have a large balcony and a terrace with view on either the tropical garden, pool area or ocean view.